Vuelio has compiled a roundup of the Top Ten UK PR Blogs By Women – to celebrate successful women in PR – in conjunction with International Women’s Day 2017. Aura’s Chief, Laura Sutherland makes “Top ten UK PR blogs by women”! 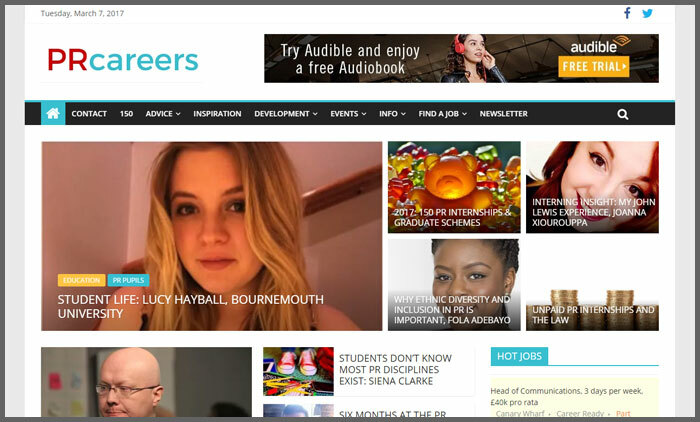 PRcareers is a careers website that was created by Sarah Stimson in 2016 to help aspiring PRs and established professionals find jobs in the industry. The blog is maintained by Sarah and includes useful information and advice from both students and industry experts. As chief executive of the Taylor Bennett Foundation, editor of PRcareers and author of ‘How to get a job in PR’, Sarah is passionate about creating opportunities for ethnic minorities and women in the PR industry. Hannah Lennox launched her blog, Just a PR girl in a PR world, while completing a degree in Public Relations at the University of Sunderland. Providing students with advice on how to get work experience, how blogging can help improve vital skills needed in the industry, and topics including the use of social media in PR, Just a PR girl in a PR world contains a variety of useful personal development tips. On occasions, Hannah also posts research and informative pieces based on communications practice, such as The History of Emojis. Glasgow-based Laura Sutherland is an independent chartered PR practitioner, and chief of the agency Aura. Her blog provides readers with insights of the work that she does with clients, a blogger interview series which features some of Scotland’s top bloggers, and detailed advice on how to organise your time as an independent PR practitioner, as well as tips on how to maximise planning and campaigns. 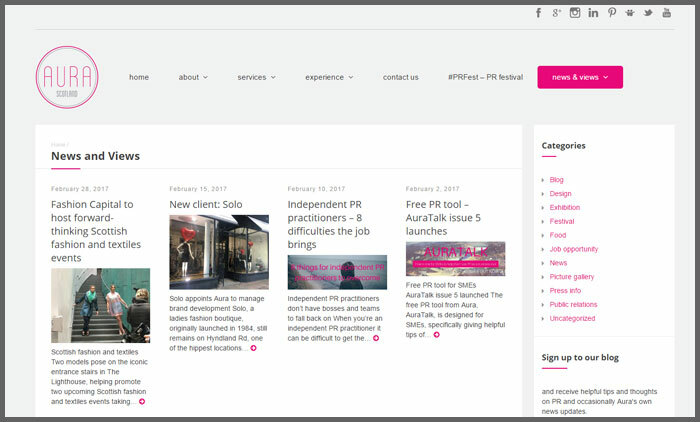 Authored by University of Sunderland PR and French graduate Arianne Williams to practice her working skills in university holidays, PR Professional in Training is an online portfolio and advice blog. It focuses on subjects such as social media best practice and why PRs should promote themselves more, how to gain the ideal work placement and keep yourself motivated during your studies, and tips for bloggers on how they can make their blogs more PR friendly. 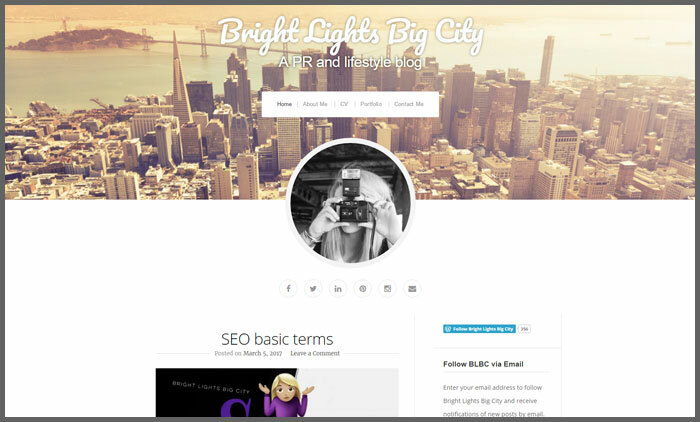 Rebecca Henderson created her PR and lifestyle blog Bright Lights Big City after falling in love with public relations in 2008. Although there is a heavy focus on PR and social media, the blog also discusses film, beauty, and places to eat, making Bright Lights Big City an insightful blog which has a very personal tone. Posting social media and PR news, Rebecca shares tips on what she has learnt during university and in her professional career, on topics which include SEO basics and brilliant campaigns like the ‘Should’ve gone to Specsavers’ Oscars dig. Claire Etchell, the author behind NakedPRGirl created the blog as a place for her to muse over society and the ‘juxtapositions between the real and online fashion world’, providing honest and “naked” observations. As a seasoned PR professional with an interest in fashion, lifestyle, social media and ecommerce, Claire uses her blog to share interviews with inspirational fashion and PR influencers, and expert advice on how to speak to influencers, as well as fashion and industry related news. NakedPRGirl also includes a humorous PR dictionary, to help readers get their head around the lingo. 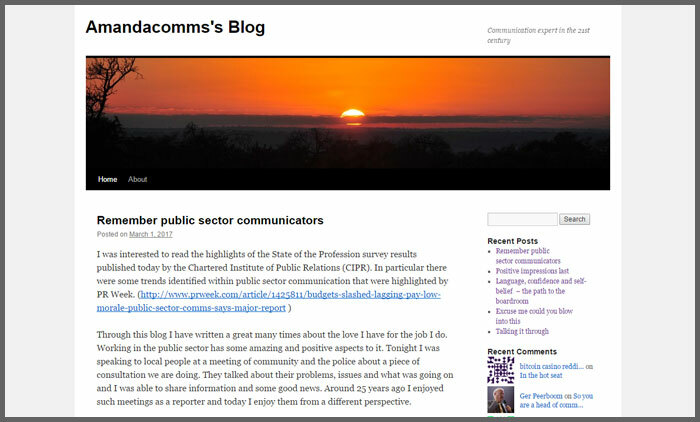 Amandacomms’s Blog is written by Amanda Coleman, a communications professional with expertise in the public sector. Drawing on her background as a reporter and experience working in comms for the police, Amanda provides readers with the most important and useful insights that she has learnt during her career and provides thought-provoking opinion posts. Natasha Courtenay-Smith is an entrepreneur, digital marketing specialist, mentor and publicist and works to use online and offline strategies to raise the profile of individuals and businesses. Natasha’s self-titled blog features tips on how to promote yourself through multi-disciplined channels, building a transparent profile, and thought-pieces on how the use of new media and technology can help to improve brand visibility. Women in PR exists to help support women who work in PR and to support a fair gender balance in senior roles and in the boardroom. 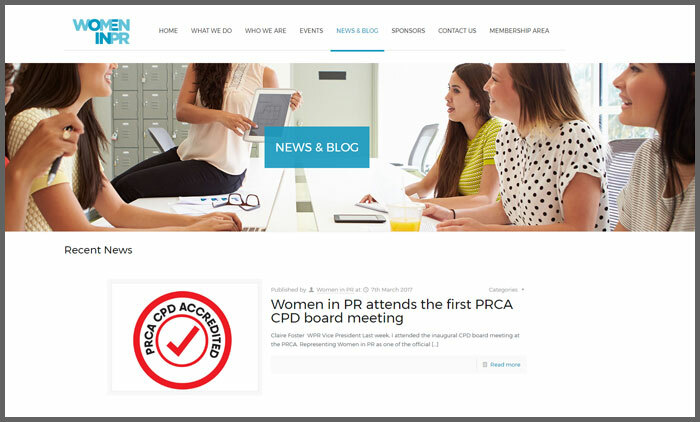 The blog is maintained by the Women in PR team and a large variety of posts are written by current Women in PR President, Mary Whenman, covering a variety of topics including personal development, why you don’t need a PR degree to work in the industry, and other challenges facing the PR profession. Sarah Hall is an entrepreneur and author of #FuturePRoof and is renowned for being an ethics tsar and gender and equality advocate in the PR industry. Sarah uses her blog to discuss prominent ethical issues and tips on how to improve PR best practice and activity. The blog also features thought-pieces on taboo subjects like mental health in PR and the gender pay gap.